Houston Bankruptcy attorneys are often asked what happens to mortgage liens in Chapter 7 bankruptcy. What happens to your mortgage in a bankruptcy relates to three key areas surrounding mortgage liens: equity in the home versus mortgage debt, past due payments, and ability to complete future payments. A Mortgage lien is an agreement between a lender and a borrower that gives the creditor an ownership interest in the property used as collateral. A lender does this to minimize their risk of a debtor not paying the mortgage. An important distinction must be made between mortgage liens and mortgage debt. While Chapter 7 bankruptcy does wipe out your mortgage debt, it doesn’t remove the lien your lender placed on the house when it was purchased. 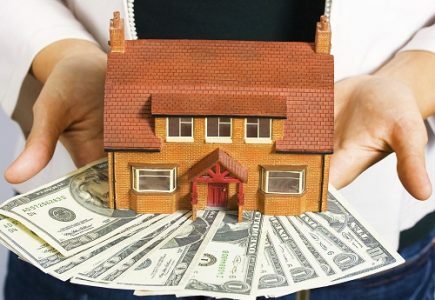 Therefore, you must continue to make regular mortgage payments if you want to keep your mortgage lien holder from exercising their right to foreclose. In other words, Chapter 7 bankruptcy discharges only eliminate mortgage debt, not mortgage liens. If your mortgage payments are past due when you file bankruptcy, you are given an automatic stay which temporarily halts foreclosure on the property and buys you time to reorganize your debt. Chapter 7 bankruptcy, however, isn’t always the most effective tool when faced with overdue mortgage payments. Instead, it may be more logical to file Chapter 13 bankruptcy, which can allow you to place all past due mortgage payments into the lump sum of total debt you have, and then pay it back over time. Ask your Houston bankruptcy attorney what the best option is considering your current financial situation. Keeping your home with Chapter 7 bankruptcy requires you to continue making payments on your mortgage. As long as you don’t have more equity than the Texas bankruptcy homestead exemptions, you’ll be able to keep your home. Alternatively, for those consumers who have filed Chapter 7 bankruptcy and discovered that the trustee might sell their home, you can always switch to a Chapter 13 bankruptcy. Contact a Houston bankruptcy attorney for advice on the best bankruptcy chapter for your situation and to discuss the best way to protect your assets during the process.